plans fell through. 1982: SFT made its NBC debut. 1982: The first daytime episode of Capitol aired on CBS. 2004: All My Children's Kendall told Bianca her baby was dead. 1962: On Search for Tomorrow, Marge Bergman (Melba Rae) reeled from Monica's (Barbara Baxley) decision to not give Jimmy up for adoption. She later went to friends Joanne (Mary Stuart) and Arthur Tate (Terry O'Sullivan) for solace. 1962: On As the World Turns, Betty Stewart begged her husband, David, not to admit Danny was adopted, after hearing the claims by Ellen Lowell that she was the child's mother. 1963: NBC aired the final episode of Young Doctor Malone. The show was originally created by the legendary Irna Phillips as a radio soap opera in 1939. The TV version of Young Doctor Malone premiered on December 29, 1958, set in fictional Denison, Maryland. The story revolved around father and son doctors, Dr. Jerry Malone (William Prince) and Dr. David Malone (John Connell) at Valley Hospital. Jerry's wife, Tracey, was played first by Virginia Dwyer, then for most of the show's run by Augusta Dabney. Prince and Dabney became real-life husband and wife in 1964. Betty Corday was the producer. 1967: On Dark Shadows, Maggie (Kathryn Leigh Scott) began to figure out what went down between her father and Roger 10 years earlier. 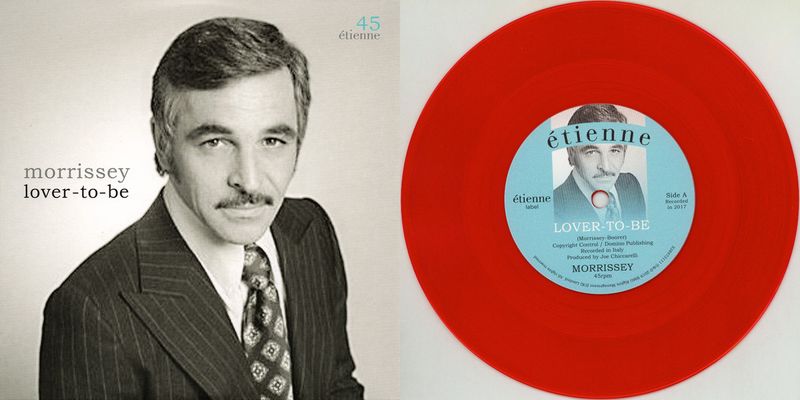 1979: On Another World, Iris (Beverlee McKinsey) informed Brian that Elena intended to seduce both their sons. 1982: On General Hospital, Luke (Anthony Geary) told Ruby (Norma Connolly) he thought Laura was alive. 1982: CBS aired the first daytime episode of Capitol. Created by Stephen and Elinor Karpf, and from John Conboy Productions, Capitol new daily drama on CBS since The Young and the Restless. The series starred Rory Calhoun, Carolyn Jones, Ed Nelson and Constance Towers. It followed the public lives and private ambitions of two warring Washington families, the McCandlesses and the Cleggs. Between the two families, they were into everything, from politics and medicine to sports and television. The show premiered on Friday, March 26, in a one-hour primetime special after Dallas. 1982: Search for Tomorrow aired for the first time on NBC. 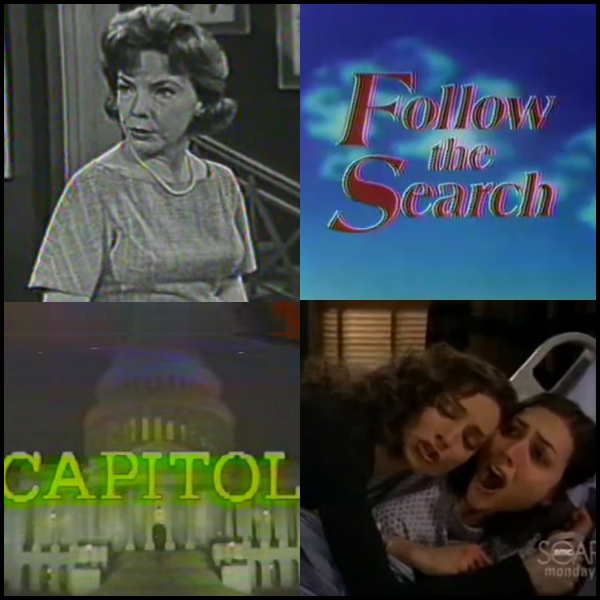 NBC aired "Follow the Search" promos to let viewers know the show was now airing on a new network, after 31 years on CBS. 1983: On Guiding Light, Justin Marler (Thomas O'Rourke) talked to Rick Bauer (Phil MacGregor) about Rick's decision to become a doctor. 1985: On Santa Barbara, Cruz Castillo (A Martinez) was surprised when he met Channing Capwell's former lover, Lindsay Smith (Joel Bailey), and "Lindsay" was a man. 1990: On General Hospital, Casey the Alien (Bradley Lockerman) watched TV while Robin (Kimberly McCullough) was at school. 1991: On Another World, a fire broke out at the Cory mansion. 1993: On Days of our Lives, Jack (Matthew Ashford) watched while Billie (Lisa Rinna) played poker on a hot streak. 2004: On All My Children, Kendall (Alicia Minshew) told a heartbroken Bianca (Eden Riegel) that Miranda died.